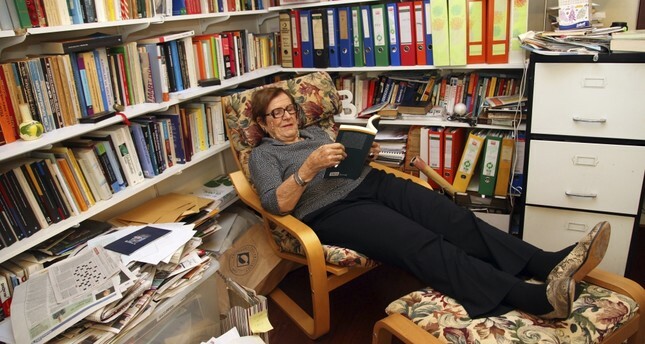 Despite being 98 years old, Nermin Abadan-Unat continues to promote her recognition of the humanist, individualistic and secularist vision of history and society. Women have made great contributions to the modernization of Turkey. From politics to the sciences, from sports to lifestyle, women have always been on the forefront. Sometimes they were encouraged by the regime, which saw the emancipated female image as the symbol of the Kemalist revolution. However, as in the case of suffragettes, women stepped up for their own rights against their fellow rulers too. On the other hand, the regime's encouragement of women tended to be a one-way ticket. When a few university students began to wear headscarves, the elite of the Republic were so worried about the possibility that the modernization path would be abandoned by elite women, even though a majority of Turkish women were still using headscarves, they started a scandalous pressure campaign against Muslim university students. Especially after the military coup of Sept. 12, 1980, headscarves became a controversy between Muslim civil society and the secularist military regime. It's a shame that many elite women, including scientists, backed the military regime's prohibition of the headscarf in the so-called "public sphere." This "public sphere" meant that you couldn't practice your religious belief by wearing your headscarf in public bodies, such as universities, schools, hospitals, public offices and military facilities. Only a few liberals and anarchists accepted the headscarf as a right, while the majority of Kemalists, including both the left-Kemalists and right-Kemalists, not only refused such a right but some of them even criticized their colleagues who sought to study the social reality of university students using headscarves - such as Nermin Abadan-Unat, a sociologist and a political scientist at Boğaziçi University, which was seen as the castle of American-style liberals in Turkey. Nermin Abadan-Unat was born with a silver spoon in her mouth. She was the daughter of a rich Turkish merchant and a Hungarian baroness of German descent. She was born on Sept. 18, 1921 in Vienna to Mustapha Suleimanovic (later Suley), a Bosnian exporter from İzmir, and Elfriede Karwinsky, the Hungarian baroness who Mustapha met in Austria. They lived in Istanbul after their daughter was born. However, a tragedy determined Nermin's later life as her father committed suicide because his job fell into crisis. Her baroness mother took her to Budapest. Abadan-Unat lived in Budapest until she was 15. "I rang the doorbell of the Turkish Embassy in Budapest, yet I couldn't speak any Turkish," she remembers. She decided to live and study in her father's country, so she applied to the Turkish Embassy and moved to Turkey to live with her father's relatives in İzmir. Abadan-Unat spoke German, French, English and Hungarian; yet, she knew nothing about the Turkish language despite her father being from İzmir. She enrolled at İzmir Girls' High School. After graduation, she went to Istanbul and enrolled in law school. After graduating in 1944, she lived in Ankara and worked for the Ulus (The Nation) newspaper. She married in 1946 and was admitted to the Ankara Bar in 1947 as a lawyer, yet she didn't practice law. Instead, she began graduate studies at a law school in Ankara. Social scientist or social engineer? Abadan-Unat completed her graduate studies at Ankara University in 1951 with her dissertation "Public Opinion and Sphere of Influence." This was the first of various interests of hers in the social sciences. She continued her studies at the University of Minnesota with a Fulbright scholarship. She returned to Turkey and began to work as a research assistant at the Ankara University Political Sciences Faculty in 1953. The Political Sciences Faculty was under heavy influences from American social sciences serving modernization theory. According to this notorious theory, every society is on the line of obligatory modernization. Industrialization is the key to modernization; thus, the modernity of society simply depends on how far it is industrialized. The essential modernizer is the West, and the United States has led the modernization process after World War II. Many social scientists in Turkey continue practicing their belief in such linear modernization. Nermin Abadan-Unat had been one of the "true believers" of modernization theory. So, she studied the conditions of the rural Turkish women and Turkish workers in Germany. Her approach was that traditions coming from rural and feudal backgrounds become obstacles against modernization. Therefore, the state should help these people get rid of traditional bonds and become modern and free individuals. Moreover, she argued that rigid secularization is the key to complete modernization. Mina Urgan, the late English philology professor, named her memoirs "The Memoirs of Dinosaur," which was a defiance against the contemporary criticisms of later generations toward her generation's "true beliefs." Likewise, Nermin Abadan-Unat, five years younger than Urgan, has continued her true beliefs about modernization, secularization, and the social engineering role of the intellectuals and bureaucrats until now. She is 98 years old but feels no hesitation in repeating her recognition of the humanist, individualistic and secularist vision of history and society. However, unlike Urgan, Abadan-Unat, at least in her press interviews in the 2010s, has signaled a minor change in her views on religion and traditions. In 2013, she declared to a reporter that her point of view shifted about the use of the headscarf. She said, "I was supporting the idea of prohibiting the headscarf. Yet, I changed my mind since there are male members of Parliament with the same exact ideas as female members of the Parliament who seek to use headscarves." This is very interesting since she was even against the headscarf studies within the framework of social sciences in the late 20th century. Thus, her latest shift of political position against the use of religious symbols in clothing has become a matter of adaptation to circumstances, securing her ultramodern image from being perceived as a dinosaur of positivist beliefs.